Having to deal with mange is not unusual for most dog owners for at one point, or more, in time dogs do get affected by it. Mange is a type of skin disorder that is caused by mites, usually by the microscopic arthropod that looks like a crab and is called Sarcoptes. When this parasite finally hitches at the back of one’s dog, the skin of the dog becomes “flaky” and itchy. This attack on the skin, or mange, often leads to bacterial and/or fungal infection and inflammation. 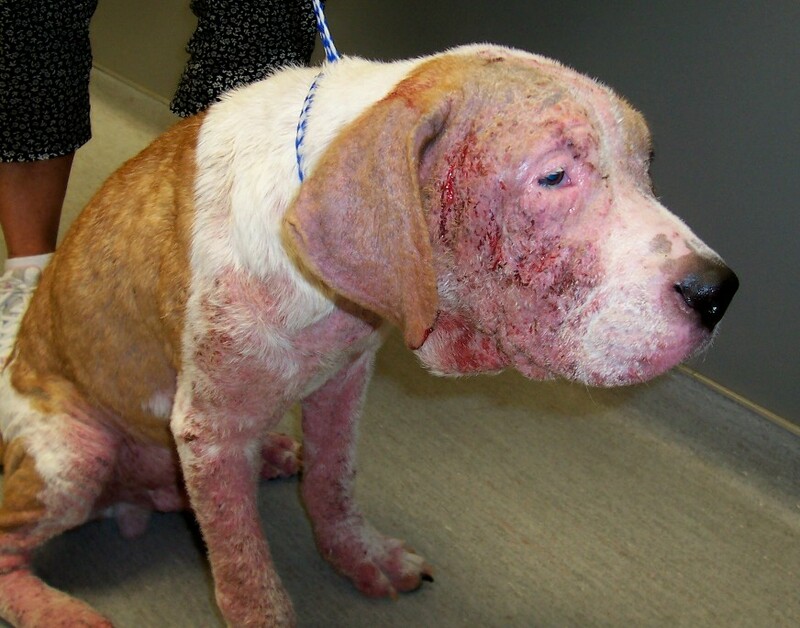 Mange is very contagious but can also be easily treated. 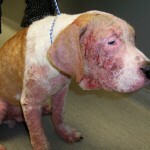 Here is a guide on how to treat mange. The most basic or the first kind of treatment to give a dog with mange is to wash it with shampoo made especially to combat the parasites or mites. After making sure that the dog is well-bathed, certain medicinal treatments approved by veterinarians may be given to the dog. One of the most common treatments prescribed is ivermectin. Ivermectin is a kind of medication or topical agent used to treat dogs with different medical conditions, the most common of which is mange. However, the use of ivermectin must be prescribed and overseen by a veterinarian in order to make sure that the right dose is given to the dog. When ivermectin solution is injected, the dose is usually 0.08 cc per 10-pound dog and 0.8 cc per 100-pound dog. It is also very crucial to know if the dog does not have heartworm because ivermectin can be fatal with the presence of any adult heartworm. If the dog is a Collie, or if it has Collie blood, then ivermectin can also be fatal due to a noted decrease in blood pressure of this breed. To make sure that it is safe to treat the dog with ivermectin, let a veterinarian give it some tests to do a diagnosis, and let the vet determine and prescribe the right dose of medication for the dog. If bringing the dog to the clinic seems a little impossible, there is an alternative solution that can be made at home in order to treat mange. This home remedy makes use of 1% hydrogen peroxide (H2O2) solution, borax and water as an application treatment for mange. To create the 1% H2O2 solution from the standard 3% solution sold in drug stores, two parts water must be added to one part H2O2 solution. After having the 1% H2O2 solution, dissolve borax (take note that borax is different from boric acid and must not be confused with it) into the solution until reaching a saturation point. Add as much as 2 tablespoons of borax for every ½ liter (500 cc) of the 1% H2O2 solution. Once the solution is ready, it should be applied after the dog has been shampooed and rinsed. After the dog’s preliminary bathing, wash and soak it several times with the solution and let it stay on the dog for the rest of the day. Do not rinse the dog once the solution is applied. This allows the solution to really take effect on the mange by acting continuously against the mites. So whether the medicinal treatment prescribed by most veterinarians or the alternative home remedy is used, one must remember to keep the place where the dog lives as clean as possible. By disinfecting the immediate surroundings, this makes sure that no mite is left crawling around waiting for another host to irritate. Cleaning and treating not just the dog but the surroundings too are the solution for a long-term mange-free environment.